In science, metal is an element or compound that conducts electricity and heat, and is highly malleable. The word metal derives its origin from the Greek term metallon, which means mine or quarry. Although there are hundreds of kinds of metals found in the earth’s surface, this distinction of being metal when referring to the building industry is narrowed down to onesteel. Steel is an alloy or a combination of iron and carbon, but other elements can also be mixed with iron, and such combinations produce varying degrees of strength, ductility, and hardness. Iron containing more than 2.1% of carbon is called cast iron, which is a type that easily submits to casting and has a low melting point. On the other hand, wrought iron contains very low carbon and has fibrous additions called slag, which are comprised of metal oxides and silicone dioxide. This slag component gives wrought iron its wooden grain that becomes visible when the material is bent or etched. In the building industry, metal is a specially regarded material because of its qualities. Different countries have varying regulations when it comes to steel production, but the modern idea is to produce steel in the most sustainable and eco-friendly way. The foremost characteristic of steel as a building material for metal windows is its high strength-to-weight ratio, which is about 2,000 Megapascal (MPa), 1,400 units better than aluminum and 700 units better than titanium. Steel is also an inorganic material, so it will not rot, split, crack, twist, warp or creep. In fact, it is used in different kinds of construction, from buildings and airports to appliances. Furthermore, metal windows made from steel resist fire to a great extent, and this material will not contribute to the spread of fire when exposed to it. Steel can also be easily dissembled as needed during repairs in buildings. This material also produces less scrap, which is only about 2% compared to the 20% for wood. Recyclability of steel scrap is hundred percent, making this material resalable. In fact, in the US, 64% of steel products produced come from recycled steel, a very high percentage compared to the recyclability of glass, paper, and plastic. Unlike wood or aluminum, steel has a slower aging process and metal windows made from it require the least maintenance. Despite the many advantages of steel in the creation of metal windows, it still remains vulnerable to natural elements, especially oxygen and water. The only disadvantage in using steel is its high likelihood of corrosion, which is the disintegration of the constituent atomic particles in a certain metallic material due to chemical reactions. This process produces iron oxide, which is commonly known as rust. Without the presence of oxidizing elements, metal windows require minimal maintenance in order to look best. First, metals should not be left touching each other because this can cause corrosion. If needed, high-quality paint can be applied in order to prevent rusting. Sand and dust are two elements that are detrimental to all metals, so make sure that the metal parts are kept away from these elements. In addition, moisture and air should be absent in the surrounding area, since these break down paint and coating particles, which can make the metal surfaces exposed. Steel or metal production is a growing business worldwide, and today, China is considered the largest manufacturer. In the United States, the largest producer of steel is the United States Steel Corporation, which ranks tenth in the overall list of steel producers by volume. See How Much You Can Save On metal Windows Today! 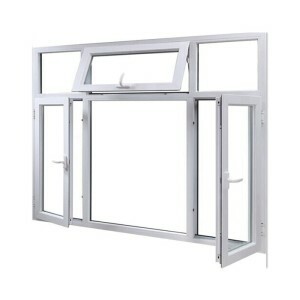 Prices of metal window products differ according to type, color, size, and features. Thus, it is necessary to compare the prices of various metal window brands and to put products side by side in order to see the pros and cons. Therefore, the price of the end product you will get is dependent on your careful selection and inspection.